The Deerfield Institute develops and analyzes data to advance understanding of innovation, emerging products and trends within the healthcare market. – Investment: Our approaches to capital funding are uniquely flexible to give companies the leverage they need to advance their business goals and set new standards for the healthcare industry. – Institute: Our partners benefit from our deep understanding of the healthcare ecosystem, enabling them to identify new opportunities and optimally position their products and services. 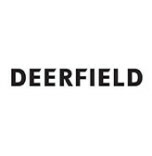 – Foundation: The Deerfield Foundation, created to give our people more opportunities to help others, pursues philanthropic initiatives with a special focus on children.